At Everything Dinosaur, for the vast majority of the named prehistoric animal models we supply, we send out a fact sheet on that animal to accompany the sale. As a result, we have researched and written hundreds of fact sheets. 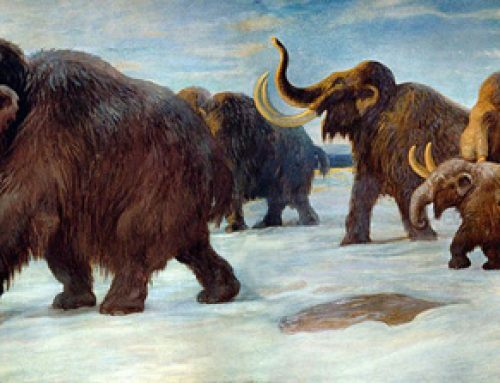 From time to time, we have to update and amend these fact sheets to reflect changes in ideas about extinct animals and to incorporate new fossil evidence. Take for example, the Apatosaurus fact sheet. This was first written in 2006, but it has undergone several revisions, just like the whole of the diplodocids. In the new, updated data sheet, we assert that Apatosaurus was closely related to Diplodocus and comment on the recently resurrected genus Brontosaurus being the sister taxon to Apatosaurus. A sister taxon or sister group, as it is sometimes termed, is used in classification to denote the very closest relatives of another taxon within the evolutionary tree. Although several palaeontologists disagree with the findings of the 2015 paper that considered Brontosaurus a valid genus “A Specimen-level Phylogenetic Analysis and Taxonomic Revision of Diplodocidae (Dinosauria, Sauropoda)”, which was co-authored by Roger Benson of Oxford University), at Everything Dinosaur, we have amended our fact sheet to reflect the changes in the Diplodocidae family. In addition, back in 2014, a huge, two-metre-long femur (thigh bone), was discovered at the Mygatt-Moore Quarry (Mesa County, western Colorado). Although, a number of Sauropod genera are associated with this famous dig site (Brushy Basin Member of the Morrison Formation), the bone has been ascribed to Apatosaurus (species unknown) and this single bone discovery suggests that Apatosaurus may have been considerably bigger than the twenty-one to twenty-two-metre-long estimates of the past. Although we had a lot of Apatosaurus illustrations in our database, we chose to commission a new drawing based on the Papo Young Apatosaurus dinosaur model, which was introduced back in 2015. Apatosaurus was considerably more robust than Diplodocus and the Papo model, with its thick neck, showing well defined cervical vertebrae and robust limbs, contrasted nicely with our illustration of Diplodocus. The Papo Young Apatosaurus dinosaur model – view from above. Many skeletons of these animals are found with the skull missing and when Apatosaurus was first described it was given the short, deep, “box like” skull of a Camarasaurus. When a real Apatosaurus skull was scientifically described many years later, it was described as being very different from that of a camarasaurid. It was long and low with peg-shaped teeth positioned at the front of the mouth. The nostrils are located on the top of its head, this added weight to the argument that Apatosaurus lived in swamps where it could feed out of reach from predators with the water helping to support its great bulk. However, it is now believed that these animals were almost entirely terrestrial. Until the next Apatosaurus fact sheet re-write.